Thanks to licencing deals they were able to release unique pieces modeled after popular actors and cartoon/comic characters. 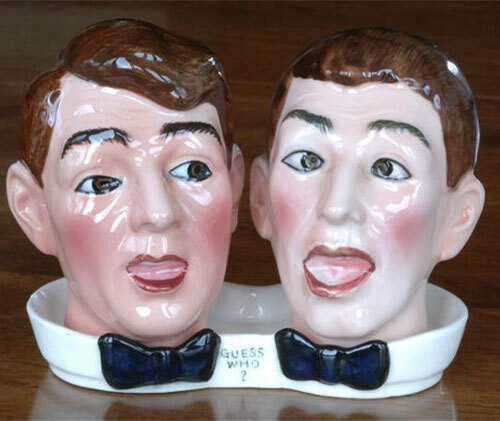 Modeled after the famous comedic duo of Dean Martin and Jerry Lewis. These particular shakers came with a housing base that was 2.25″ x 4″, and designed to resemble their collars and bow ties. The words Guess Who? were also painted on the edge between their bow ties. For each month of the year, Napco released a flower girl that represented that particular month’s birth flower. The flowers were included in the design of the girls hats and dresses. 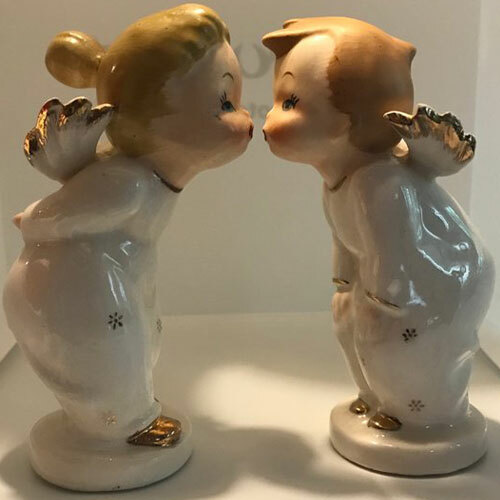 These adorable little angels leaning in for a kiss can be found in a variety of colors and patterns. The desirability of each set can vary depending on their color pallets. 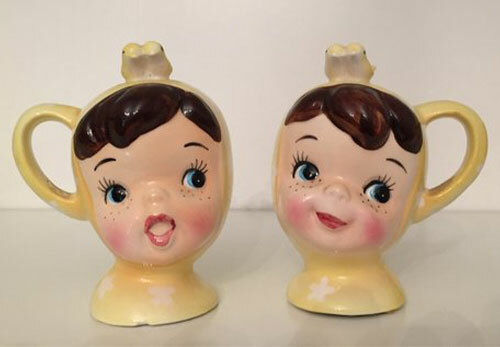 These particular shakers are modeled on phonographs. 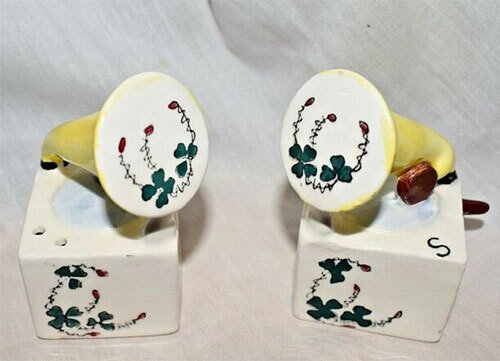 With a white Victrola, a yellow horn, and hand panted Irish shamrocks, these shakers are sort after by lovers of phonographs and salt and pepper shakers. Walter Lantz Productions was an American animation studio, more known for their character Woody Woodpecker. 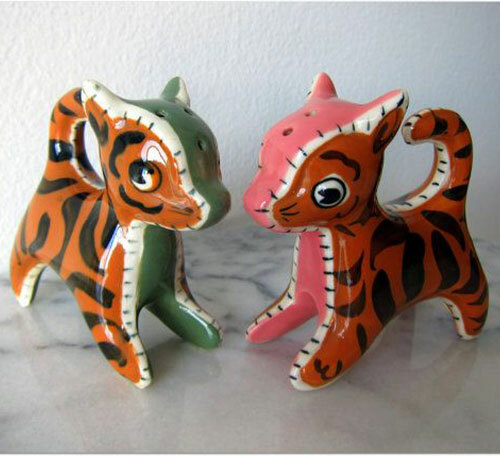 Napco produced a series of salt and pepper shares based on the characters depicted in the Walter Lanatz comics and animations. 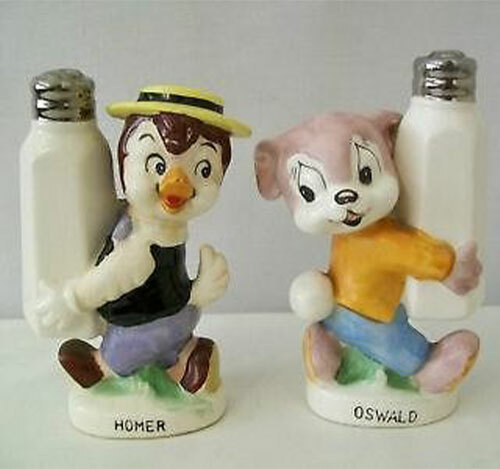 Homer and Oswald are two such characters, and are highly sort after by fans of their cartoons and comics. 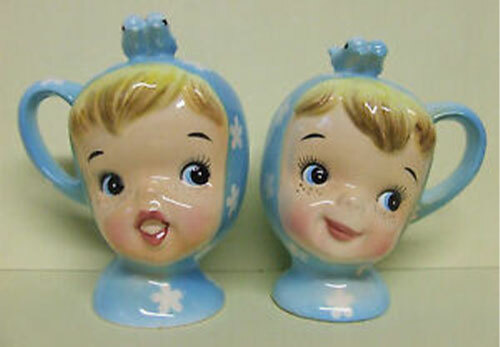 Napco released several series of Miss Cutie Pies, from shakers, to spice racks, tea sets, and even cookie jars. All designs depict a little girls face and can be found in one of three colors. 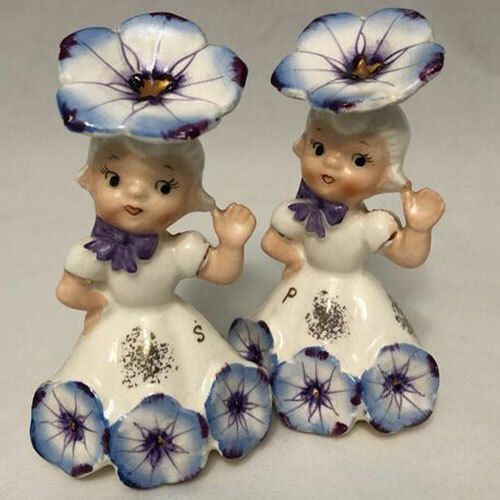 One of the largest series of salt and pepper shakers produced by Napco. 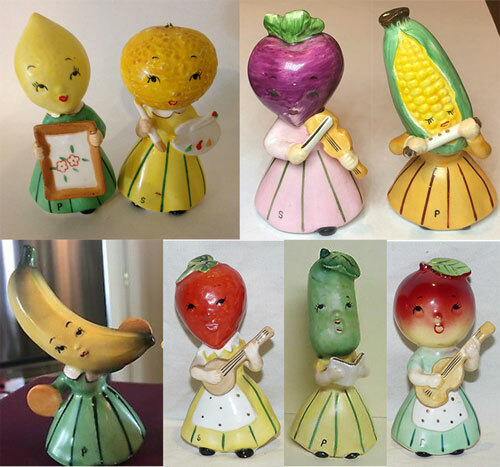 This series includes six sets (or 12 separate pieces) of anthropomorphic girls with fruits or vegetables for heads. The pieces are paired by the actions that they are depicting be it musical, painting or housework.